The Surface Design Show at the Business Design Centre in Islington is an annual event I attend. Not a public event but it targets architects, interior designers and anyone in the built environment who has an interest or specifies materials for surfaces. By surfaces I mean wall treatments such as wallpaper for example or even glass, flooring for offices, residential homes or for retail, solid surfaces such as tiles, concrete and resin as well as textiles. An important element of Interior Design, surfaces are re-worked in a myriad of ways and I go to these shows to see new materials and how they can be applied in my client’s projects. This year was a busy year for the show organisers. They had a Trend Wall which trailed the trends in colour for Spring Summer 2012. 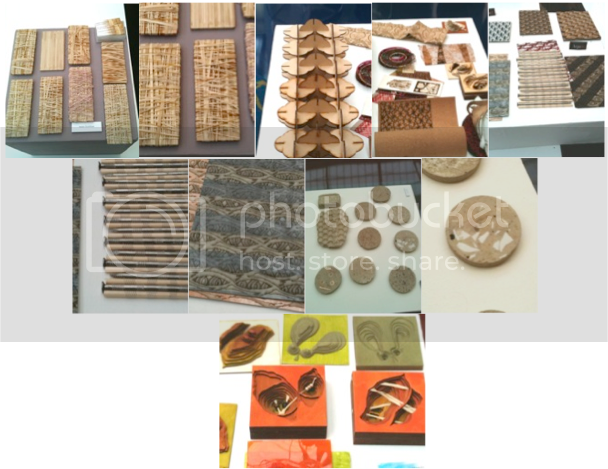 This year the colour and materials palettes were divided into 4 themes. Epiphany, an organic earthy palette, with raised elements off the surface, bark-like textures with colours of beige to dove grey. The Scratchy palette (! ), is much more vibrant with filigree-like textures and definitive accents in the materials. The colours here are not tonal but more true colours of red, sky blue, Morgan green(the car!) and purple. T The Vanity palette is definitely.....pink! Soft textures, soft tonal peaches and pinks, with accents of cyan and muted greys. And the last one Monitor is vibrant, relief surfaces with greens, fuchsia, light blues and yellows. Zingy comes to mind! I was particularly taken with the University of Huddersfield’s stand. Populated with a variety of smaller exhibitions within the stand from students that are in the process of doing a degree in Surface Design or have completed one, this was an exciting stand. I am always interested in the ideas that younger people can present – I find their inventive process fascinating and this was no exception. Run by Joanne Harris who is the course leader, the degree specialises in design for multimedia surfaces for both exterior and interior products. These young new designers look at a variety of methods and applications to offer new and innovative ways in adorning surfaces. Below some of the ones I found particularly exciting. Concrete, nails, bamboo, straw, string, cardboard, any material can be designed, re-worked, re-invented! From carpets, to wallpaper, to flooring, to installations, to textiles, the possibilities are endless. Arpa UK was another stand that caught my eye- obviously the stand designers got it right because everyone was attracted to the colourful wall! High pressure laminates (HPL) are layers of cellulose fibre (usually Kraft paper) impregnated with resin and bonded with heat and pressure. 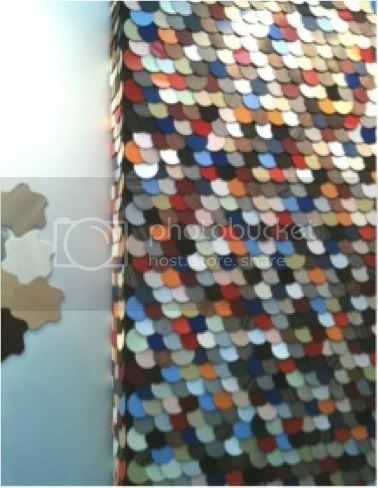 They offer 500 decorative finishes and 30 surface textures - the range is staggering. From metal textures, to wood, to stone effect, iridescent surfaces, fantasy and bespoke as well as digital imprint, the collection is really rather good. Light, with a thickness of 0,7mm to a maximum of 30mm, the panels come in a range of sizes form 2150 x 900mm to 4300 x 1850mm. I can see myself using this product in a variety of ways, from wall coverings to directional signs in a commercial or retail environment. For the residential home, some of these would be rather fantastic in a modern setting as an accent wall in a kitchen, or a flooring application on a covered patio with an outside kitchen! The first picture on the blog is of a Cityscape and is from EGE Carpet – makers of carpet to the commercial and retail sector they also do bespoke work for private clients and designers. I love the cityscape carpet – this would do well as a bound rug in a residential setting. Any photograph can be used and they can replicate onto any mix of wool and man-made material – it’s up to you to specify. 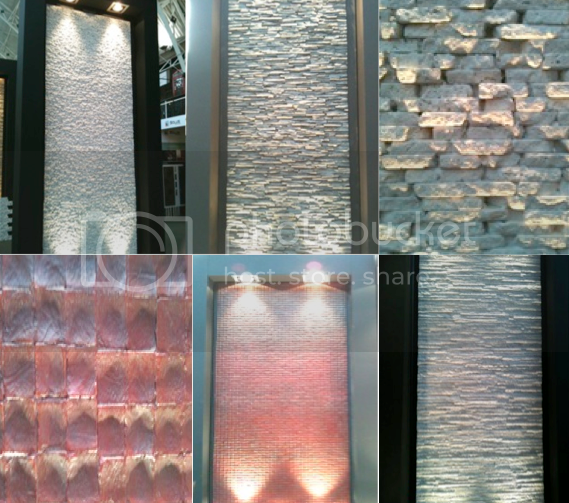 Last but not least these fantastic stone panels from Dreamwall. Made of high density polyurethane, resin and real stone powder, they are very lightweight and durable. I particularly liked these walls below. They would look amazing as a feature wall in a living room or in a hallway with a modern console against it and great mood lighting to show off the texture. There is a new range of panels which are now waterproof and can be used in any bathroom or other wet areas too and available in a range of colours and textural finishes.